Nothing says personalised like your very own Name Necklace! Feel beautiful with a personalised sterling silver necklace made especially for you! 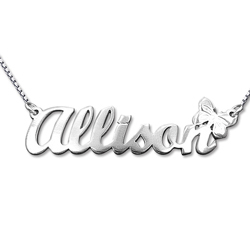 This sweet necklace comes in a script font with a pretty butterfly alighting on the last letter.